Something tells me that one of the Bhatt's ( Mahesh or Vikram) will try to make a movie loosely based on the Love / Marriage of Shoaib - Sania. What do you think?
" Jobs understandably put the best possible spin on the iPhone OS's multitasking tardiness. "We weren't the first to this party, but we're going to be the best." In Kollywood speak with a bit of punch line thrown in this would be " Where is the party? An..OS 4.0 vandha party". " Naanga partykku late-a vandhalum latest-a varuvomla :-)"
A very interesting autobiographical essay by the Nobel Prize winner Venkatraman Ramakrishnan. Here is a PJ - What do iPad and Amitabh Bachchan have in common? - People can't get tired of them and both seem to be permanently camped in the TV stations. a) Very surprised by the number of non-Americans who flew to the US just to buy the device at 9am ! b) The apple cult still amuses me - camping overnight outside the store. c) Most iPad buyers seem to be Apple fans - they already own iPod, Mac, iPhone. Can it go mainstream beyond the fan base? d) Very surprised that Google & Amazon ( the key competitors for Apple's iPad) were the first to develop apps for the iPad. d) Its the closest a tech company can get to a religious cult - Steve Jobs is a messiah and there are millions of followers around the globe. Well done Steve ! The last time I heard him, he was a replica of his guru - Voice, Bhani and style. The Bhani still remains close to the Santhanam school but the voice has changed over the years. 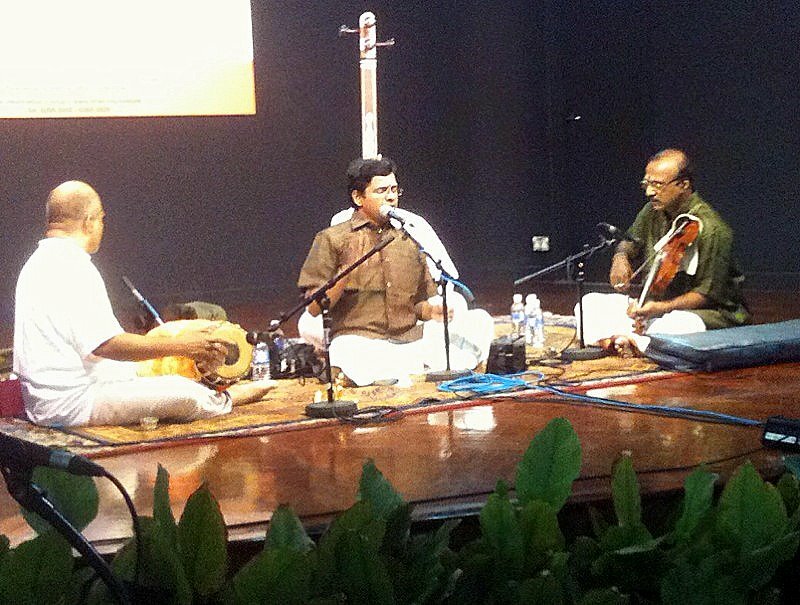 The concert was dedicated to his Guru and contained vintage Santhanam kritis. 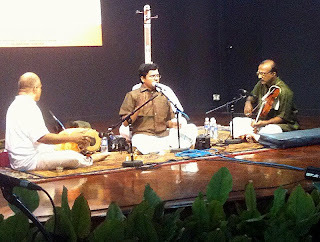 Dr. Ganesh - " guruvin ninaivu"